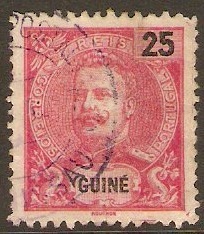 Portuguese Guinea 1903 25r Carmine. SG115. Fine used 1903 25r Carmine. SG115. 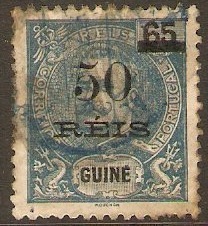 Portuguese Guinea 1905 50r on 65r Dull blue. SG122. Used 1905 50r on 65r Dull blue. SG122. 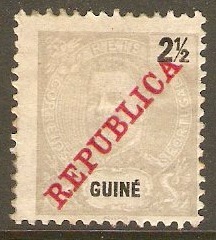 Portuguese Guinea 1911 2½r Grey. SG123. Heavy mounted mint 1911 2½r Grey. SG123. 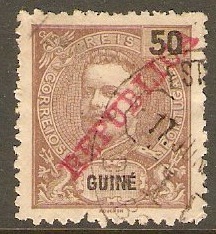 Portuguese Guinea 1911 50r Brown. SG129. Used 1911 50r Brown. SG129. 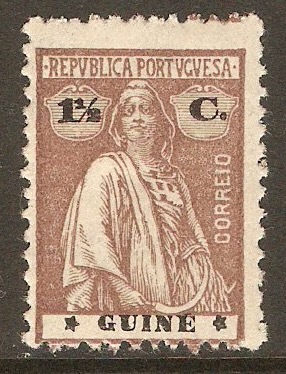 Portuguese Guinea 1919 ¼c Brown-olive - Ceres Series. SG208. Mounted mint 1919 ¼c Brown-olive - Ceres Series. SG208. 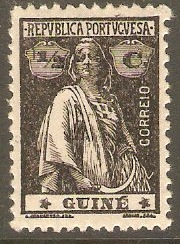 Portuguese Guinea 1919 ½c Black - Ceres Series. SG209. Heavy mounted mint 1919 ½c Black - Ceres Series. SG209. 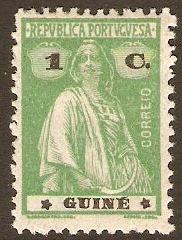 Portuguese Guinea 1919 1c Yellow-green - Ceres Series. SG210. Mounted mint 1919 1c Yellow-green - Ceres Series. SG210. 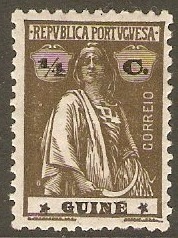 Portuguese Guinea 1919 1½c Chocolate - Ceres Series. SG211. Mounted mint 1919 1½c Chocolate - Ceres Series. SG211. 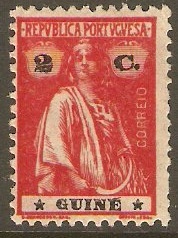 Portuguese Guinea 1919 2c Deep carmine - Ceres Series. SG212. Mounted mint 1919 2c Deep carmine - Ceres Series. SG212. 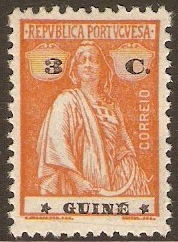 Portuguese Guinea 1919 2c Drab - Ceres Series. SG213. 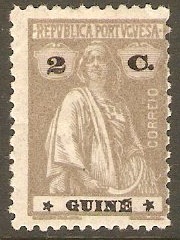 Heavy mounted mint 1919 2c Drab - Ceres Series. SG213.